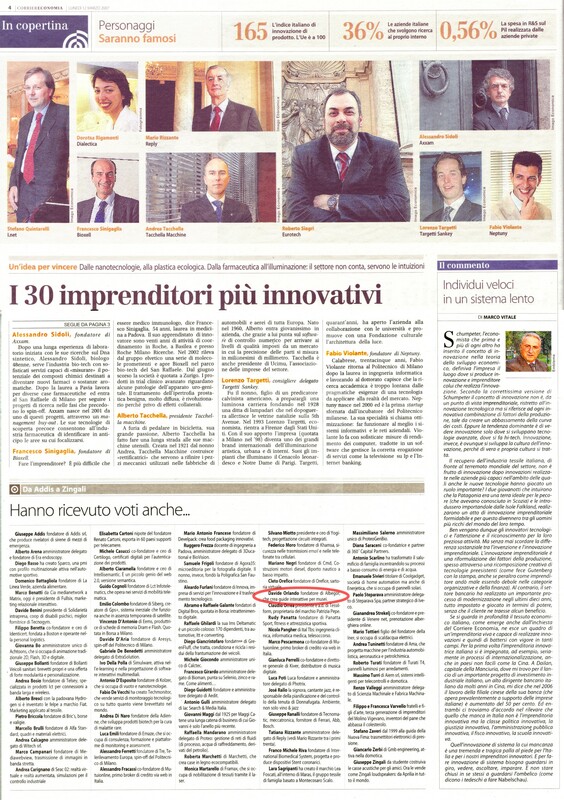 I was surprised when Cleto Orefice, the Virtual Tailor in Cernobbio, told me that on the Corriere Economia published on monday, march 12, we were both included in the list of the 109 italian entrepreneurs under 50 devoting themselves to innovation in all its aspects. 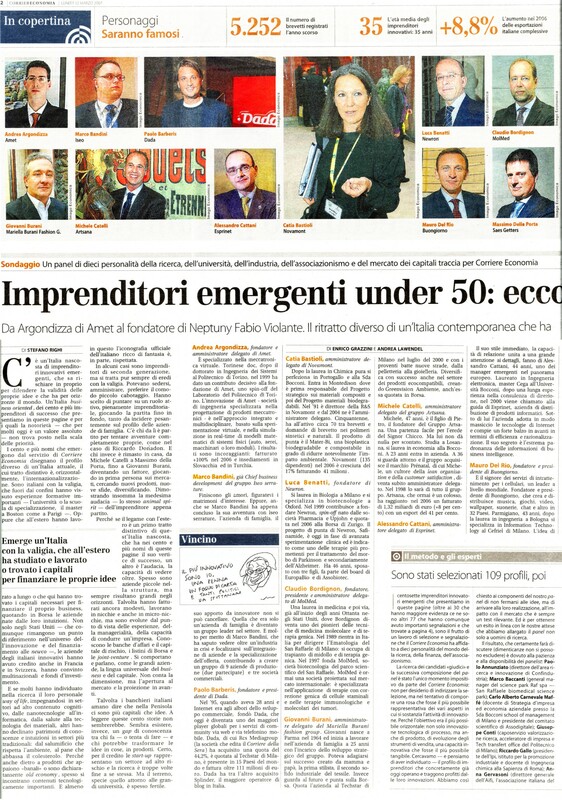 In the article, which you can read here: page 1, page 2 and page 3, they published a profile of the first 30s of the chart, while for the others there’s a brief description of their activity. 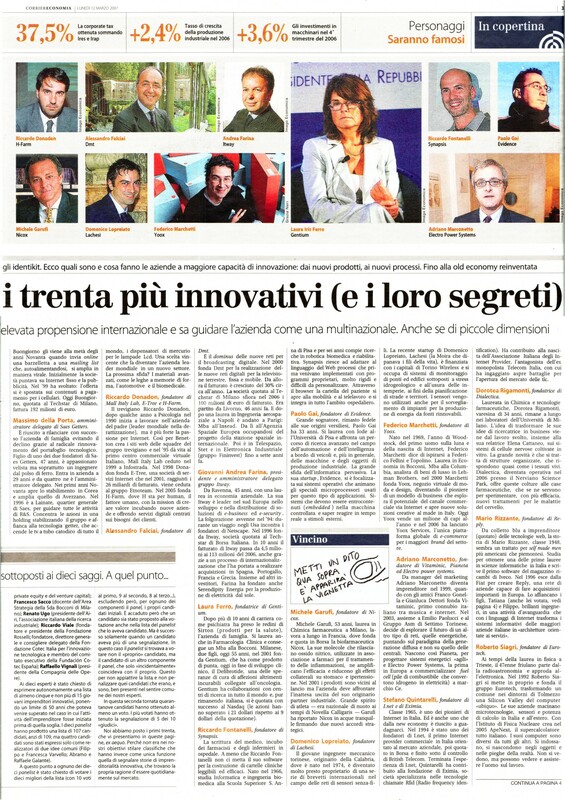 I’m mentioned as “Davide Orlando, founder of Albegor (that’s my nickname actually! ), who creates interactive guides for museums“. Money is not necessarily the purpose for me but it’s certainly a tool, sometimes the only one, to actually make things. I say this because the difficulties I faced to get to this point, almost ready to launch an innovative product such as i-muse, have been a lot. This entry was posted on March 24, 2007, 11:23 am and is filed under i-muse, Net-Tailor. You can follow any responses to this entry through RSS 2.0. You can leave a response, or trackback from your own site.